The loss of a loved one often leads the bereaved person into a new, strange and disturbing land. Familiar coping strategies fail to provide relief and a sense of well-being. Our bereavement groups and individual counseling will help you to navigate this new territory. 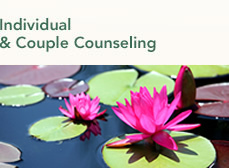 Individuals and couples enter therapy when routine patterns of living fail to bring satisfaction. Sadness, anger and poor communication undermine joy. Our sessions will help you reclaim a confident self and help you to reinvigorate your relationship. Talk therapy frequently leads to change but sometimes it is not enough. Individuals remain stuck and immobilized in spite of insight into problems. EMDR and IFS are techniques beyond talking that can help you resolve symptoms of trauma, loss, stress and under-performance. Most people expect the workplace to be free of trauma. When a co-worker dies, or layoffs are experienced, our clinicians will come to your work-site to support and educate managers and workers about normal grief reactions and useful coping strategies. 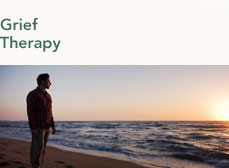 The Center for Loss and Renewal is a leading New York City psychotherapy and consultation group dedicated to the practice of life transition therapy. In a setting of warmth and acceptance we focus our energies on helping individuals to discover resilience, hope, meaning and coping strategies in the presence of loss, trauma, work and relationship problems. Over the last thirty years hundreds of clients have utilized our services for grief counseling, bereavement groups, individual psychotherapy for low self-esteem, depression and anxiety, couples counseling, and grief in the workplace crisis debriefing. 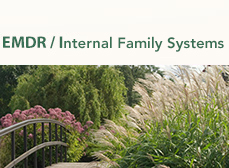 We have expertise and advanced psychotherapeutic training in Internal Family Systems (IFS), EMDR, and Eriksonian Hypnosis. We are also trained providers of a highly researched and effective sixteen week protocol to help persons suffering from Complicated Grief. We invite you to call today to embark on your journey of change. Please call today (212) 874-4711 or complete a Contact Form to schedule an individual or marital therapy consultation or to inquire about a bereavement group or professional presentation. Hundreds of people over the years have participated in our groups and found solace and support in meeting with other mourners under the guidance of sensitive and experienced professionals. Please call 212-874-4711 or fill out a Contact Form for more information on either of these groups. I participated in an 8 week bereavement group with Ben. The experience was wonderful. It was great to be able to hear others who have also experienced loss. Ben's style for leading was excellent. He is very knowledgeable, caring, comforting and knows how to ask the right questions. The weekly homework assignments were a great supplement to our weekly meetings. I highly recommend the bereavement group. 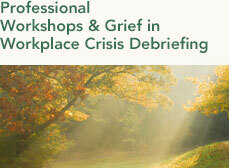 Part of our mission is to provide onsite debriefing sessions following loss and death in the workplace setting. Here is a recent evaluation of a professional training offered in New York City. Just a note to say thank you so very much for your professionalism and the sensitive way in which you handled helping the Republic Clothing Family move towards the process of healing. Our employees have expressed their profound thanks in the way you were able to address each person in making them feel validated in their grief. Your approach and sensitivity during the communal session to our loss was very helpful in showing that there was not just one person that felt the loss but that we all felt it in different ways and sharing those thoughts out load helped in making the mood lighter because we were able to realize that it is a shared grief. The individual sessions were also a great idea for those employees who needed it and they have all praised your approach in helping them to cope. Again, thank you so very much, the Republic Clothing Family truly valued our meeting with you. Sandy Leon-Gonzalez, Director Human Resources, Republic Clothing Corp.
R. Benyamin Cirlin, LCSW, Executive Director, recently spoke on the subjects of grief and trauma following the New York Theater Workshop's production of "The Events," an award winning drama dealing with an individual's attempt to make sense of a tragic loss.